For this story we used a random plot generator, which gave us: “The story starts when your protagonist gets lost. Another character is an anesthesist who is researching something terrible.” Each week we will post a new chapter until we reach the thrilling conclusion! The hospital smell churned his stomach as he swung his legs to the floor and yanked needles from both arms. Tubes dangled and the medicine inside sloshed. Another wave of nausea was hitting; he had to get out of the room. He needed air. He needed it now. Russ Winston ambled down the hall, feet bare and saggy tush exposed. He ducked behind a vending machine just in time to miss two nurses padding down the hall in squeaky shoes. At least he could hear them coming. The newly waxed floor and white sneaker tread made sure of that. He felt a chill. No wonder. His hands wrapped behind him as he attempted to close the vent that is the bane of all hospital patients. He wasn’t sure where he was. A hospital obviously, but that was all he remembered about his location. The ambulance trip was a blur and the medicine they had given him earlier in the day made his mind foggy. He didn’t like the feeling. At seventy-three years old his mind was already showing signs of slowing down. The medicine didn’t help. All he knew was that he had to escape. He had to leave. He wasn’t even sure why they had brought him here or what they planned on doing to him. That scared him more than anything. It was time for him to move on. If only he could find the damn exit. He continued to wander what he thought might be the sixth floor, occasionally dodging a nurse or a visitor or two. “Don’t any damn doctors work here?” He wondered. “I can’t believe that I haven’t seen a doctor yet. So much for quality care! Maybe I have. Maybe he did come to visit me. Maybe I just don’t remember. Getting old stinks.” He continued to try and organize his thoughts as he moved about an empty hallway. Looking up he saw the door to the stairwell. Just at that moment a familiar face rounded the corner. So caught up in his own thoughts he hadn’t heard the approach of what turned out to be the nurse assigned to him. “Mr. Winston, what are you doing out of bed? And look at your arms! Did you tear out the IV? Let’s get you back to your room.” Russ considered making a run for it but opted instead to grab the flaps of his gown so as not to expose himself anymore to Nurse Ratched, as he called her. His eyes darted to and fro as he desperately looked for a means of escape. He didn’t know exactly where he was, but if he could get outside he might have a chance to make it home. The door to the stairwell got further and further away. The nurse talked on and on in what she thought was a soothing tone. It grated on his nerves. A couple of turned corners led them back to his room, his nauseatingly sterile and stark room. No one had sent him flowers. No one even knew he was in the hospital. Hell, no one cared. Suddenly, as Nurse Ratched settled him back in his bed, alarm bells sounded in the hall. A pale, red-haired man poked his head into the room, “All hands on deck, Leslie! Trauma Team is bringing in fifteen to twenty severely injured. They are pulling up to the ER doors now. We are short-staffed today so we need you downstairs pronto.” Leslie tucked the covers tightly around Russ, “Now stay put, Russ. I’m going to go get one of the medical assistants to hook up your IV again. Be a good guy for me and don’t wander again!” She patted his arm and left the room, quickly following behind the red-haired man. Russ was still for a moment taking it all in. “Alone again,” he thought. “Wish I knew the way home.” He wiggled out of the swaddle of blankets in which Leslie had bound him and went to the curtained window. A peek outside told him he was not on the sixth floor, but much higher up. “Damn. What do they want with me? How do I get the hell out of here?” Russ pressed his head to the window and let out a sob. Is A Good Mystery Hard To Find? As a child, I grew up admiring and reading such super-sleuths as Nancy Drew and Encyclopedia Brown. My tastes changed as I grew older and I found myself drawn to true crime novels where the only mystery was what made a person crack and commit such heinous acts as serial killing and cannibalism. Somehow, and I’m not sure how, but one of the most prolific mystery writers escaped my notice. Until recently I had never picked up an Agatha Christie novel. 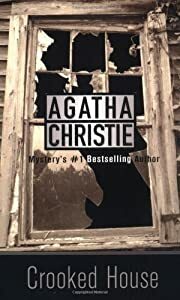 So at the suggestion of the book club to which I belong, I went in search of a good mystery by Christie. The library shelves literarily brimmed with her books. I chose the novel Crooked House and rushed home to start enjoying a good mystery. The truth? I hated it. I really wanted to love it because I figured that if I could find a liking for her books it would be a long while before I stood in the aisles of the library scanning titles in desperate search of a new author with whom to connect. Why didn’t I like this book? Was my love of true crime novels tainting the experience? It dawned on me then why I didn’ t connect with the book: Too many underdeveloped characters. 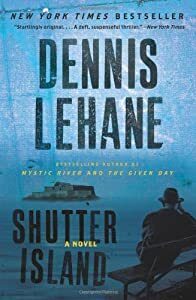 I understand you need an array of characters in a mystery or else you end up with something like: “Well, the butler did it because the only other character in the book is dead.” But if you include several characters who qualify as potential suspects, you darn well better develop them so that I, as the reader, can form a connection. Crooked House takes place in an old mansion where several members of an extended family reside. When the patriarch ends up dead, everyone is a suspect, but not everyone is developed into an interesting character. Out of all the characters, and there was upwards of 14 in all, only two were developed. One was the protagonist and narrator and the other was the killer. Not much of a mystery then and I wonder if I read more of her books if I could pick out the killer simply by picking out the developed characters. A good mystery is hard to write I am sure, and sometimes it is also hard to find. Ultimately, I think I learned that in order to compose a decent mystery you have to rely very much on the development of your characters. And next post I will discuss an author I feel does this well. I don’t think I am ready to give up on Agatha Christie just yet. Such a legend deserves another chance I think. So if you could suggest a few of her novels to look into I would appreciate it.